Greenpeace is claiming victory after Danish toy company Lego pulled out of a $110-million marketing collaboration with oil company, Shell. 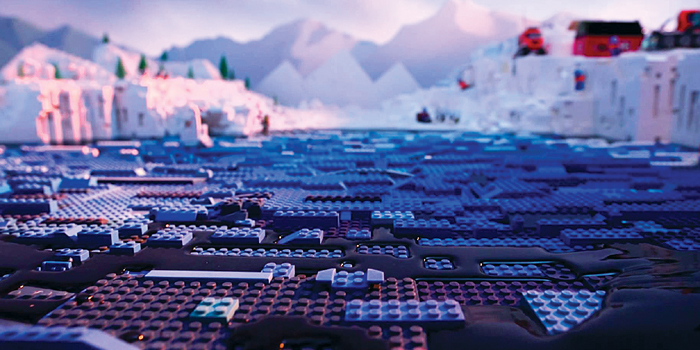 And it all came down to a 1.45-second video that Greenpeace made using Lego blocks, depicting the Arctic region spoiled by an oil rig and subsequent spill. It shows the area drowned in oila��huskies, children, adults and all. LEGO: Everything is NOT awesome references Shella��s intentions to drill for oil, with over six million views. If you thought that singing one note was hard enough, Anna-Maria Hefele will definitely deal your confidence a great blow by singing two at the same time! She very clearly demonstrates the seemingly inhuman ability to create harmony without having more people sing. In a single breath, the singer holds two notesa��a technique used by Tuvan (or Mongolian) throat singers apparently. Slightly eerie at first, the sounds do grow on you on the second, maybe third, listen. Kangaroos are entertaining enough as they are, but these two take a leaf out of Muhammad Ali and Mike Tysona��s books. Seen in a quiet suburb in New South Wales, Australia, the two are caught on camera in an intense boxing match on the street. The sparring marsupials seem to really have disagreed on something as they fiercely throw punches and kick each other for quite a while. Worth a watch, if youa��d like to pick up some punching skills.